It’s easy to think of business as a kind of zero sum world where for every winner there must be a loser. It’s the kind of world that sees business as a conflict, a battle between you and your competitors to be the ultimate victor. It’s a world that worships at the altar of Sun Tzu, with The Art of War as the bible. Maybe there was a time when that kind of mindset was the right one, and indeed I’m sure there are many today who still believe it is. I’m going to argue for a different course in this thought piece however. An empathy-driven course, whereby relationships are win-win rather than zero sum. For instance, at a basic level the kind of co-creation that underpins approaches like Clayton Christensen’s jobs to be done relies on an empathy for making the life of your customers better, and ultimately building a long-term relationship with them based upon this mutual understanding. The same applies inside our organisations. Studies have shown that when people feel insecure and unloved in their work, they tend to produce less. What’s more, most of the ingredients for innovation occur when people feel understood and appreciated. We share more knowledge with our peers, we feel confident to propose new ideas, and are more likely to put in extra effort for an employer we believe cares for us. Underpinning each of these three ingredients is empathy, both for the customers for whom you try and deliver solutions to their problems, and for staff for whom you want to support in creating those solutions. It’s moved beyond something ‘nice to have’ towards something that is fundamental to the way your organisation behaves. All of which presents something of a problem, for many of our organisations are heavily process and procedure orientated. If staff have to rigidly follow checklists for every procedure, it becomes hard to integrate caring and empathy into a process that is often extremely robotic. In fact, if you want a prime example of a situation in which the questions being asked were not designed empathetically and therefore delivered the wrong answer you must look no further than Brexit or the US presidential election. The divisive nature of those campaigns and the aftermath reveal a total lack of empathy on the part of the political classes for what people were and still are feeling on the ground. Reengaging with the human side of business is certainly not easy, and might even require a complete revamp of the culture that runs through your organisation. In an article for idealog, Corina Enache developed this theme of Harnessing the power of Empathy. As a business and cultural anthropologist she helps companies to develop an understanding of human behaviour through leveraging insights into cultural anthropology. Her solutions include being curious, listening and empathising, and generating creative insight. Obviously these traits play a considerable role in how we innovate, but the rising importance of Generation Z as both employees and customers give us another reason to look again at how we behave. In my white paper on Generation Z I highlighted the way in which this generation has already widely been recognised as the most diverse, technologically savvy generation we have ever seen. They are looking for interaction and connectivity and they are looking to embrace products and services which have a personal meaning. It’s kinda hard to do that and build things that mean something unless you care about the problem you’re trying to solve, and for the people you’re aiming to solve it for. To borrow one example from an article on innovation and empathy written by Dev Patnaik of Jump Associates, the people at Nike who design running shoes tend to be runners themselves so they know first-hand the challenges that runners face, further increasing their ability to deliver empathy-driven innovation. Likewise, IBM began to turn themselves around under Lou Gerstner in the 1990s when managers were encouraged to get out from behind their desks and meet customers in person and walk that proverbial mile in their shoes. So meeting the Generation Z imperative requires organisations to develop a level of empathy that they may have not had in the past. However, by building that level of understanding you are well on your way to creating a customer-centric, human-centric, design and innovation-led business. It may seem odd to suggest that empathy can be designed, but we are all largely creatures of our environments and are heavily influenced by the situations we find ourselves in. Behavioural psychology provides no shortage of examples of how our environment can nudge us towards better (or different at least) behaviour. Design thinking is perfect for encouraging empathy therefore, because it has its very roots in empathy. It’s a fundamental principle that encourages people to explore and understand the problems people are having, before then attempting to solve them in a creative way. This isn’t limited to a clinical examination of a situation, but delves into the emotions, habits, desires and frustrations that people have. At the heart, it requires a level of curiosity that has perhaps been best exemplified by the five whys approach popularised by Toyota, and which is designed to fully understand rather than assume. Of course, if this is not only different to how you normally behave, making such a change can be daunting, and you may be questioning whether it’s all worthwhile. I would say yes, but you don’t need to take my word for it. After all, a Design Council survey revealed that companies which were identified to be effective users of design outperformed the FTSE 100 by 200% over a ten-year period. And it’s no coincidence that the 2016 Empathy Global Index sets innovative giants such as Facebook, Alphabet and LinkedIn in the top three places. The world is in flux; the established order is changing and Generation Z are coming into the framework. This creates tremendous opportunities for organisations to transform themselves into businesses which design and deliver genuinely innovative solutions. However, in a recent keynote I proposed that those solutions cannot be self-professed. So, by default, the pathway to success starts with empathy, a level of empathy that organisations may never have considered necessary in the past. So, my challenge is for CEOs is to start building a new strategy which is founded on empathy and true intelligence. 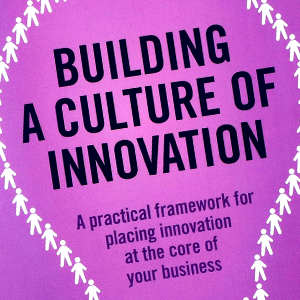 Quite simply, in the time of the Next Generation not only is there a place for empathy in big business, the success of every business will be founded on an attention to empathy-driven innovation. Some serious ground and big topics covered in the thought piece. So many great takeaways and a solid roadmap for future topics to dive into in more details. Robert Cialdinis work on Pre-Suasion is also an excellent investigation on establishing that empathy and ways to dial it into subtly nudging folks in your desired direction.